The harrowing true life story that inspired “Sully” is an extraordinary one with a rare happy ending. Unfortunately, it doesn’t quite make for a very extraordinary film. Clint Eastwood is a great filmmaker with a specific style (slow-burn, subtle, non-flashy are some terms that immediately come to mind). Eastwood has made some exciting thrillers and harrowing dramas and many have had decent levels of success. Many people will certainly love “Sully” but I think it’s because it features likable actors in likable roles and it tells a very likable story. Who wasn’t amazed by the “miracle on the Hudson” story that broke about seven years ago? A commercial plane hit some birds, the engines went out, and the skilled pilot make a split second decision to land the plane on the Hudson River, saving every single person on the flight. How does one make a feature film about an even that lasted merely minutes? By padding the runtime to death apparently. “Sully” runs just barely over 90 minutes and even then it seems too long. 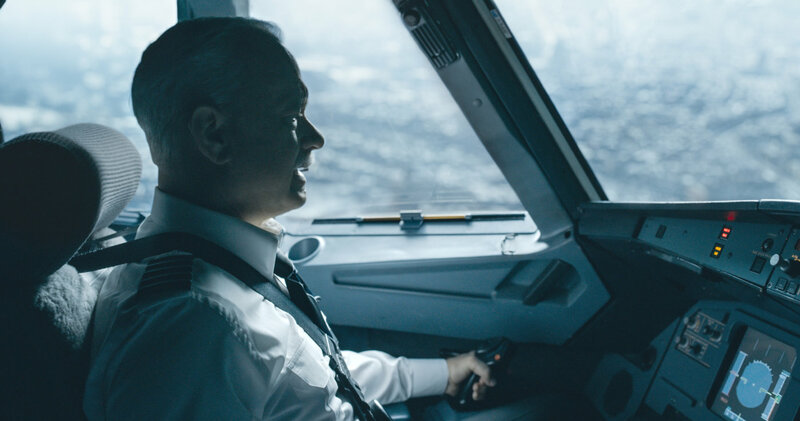 Tom Hanks plays Captain Chesley ‘Sully’ Sullenberger. As we’re introduced to him at the beginning of the film he’s suffering from post-traumatic stress. He’s basically survived a plane crash and is now considered a national hero. He has complete strangers thanking him and hugging him. But we know all this stuff going into the film. The movie’s real centerpiece is the ‘event’ which is basically an extended flashback sequence towards the middle of the film. It’s thrilling and scary – most onscreen plane incidents invoke a primal fear of flying that many suffer from – but in this rare case the plane is landed rather safely (on water of course) and no one is seriously injured. But what else is there besides this well-executed and rather thrilling sequence? Since everyone on the plane lives and the captain is considered a national treasure, who exactly is the villain? Enter the script’s version of the bad guy: the National Transportation Safety Board. They inside Sully had enough engine power to land at the airport instead of the Hudson River. The film’s final act involves a hearing in which Sully must convince the NTSB that what he did was right and in the best interest of the passengers. It’s obvious screenwriter Todd Komarnicki had to come up with some kind of conflict for Sully… apparently his post-traumatic stress wasn’t nearly enough. Hanks is great in the role but can only do so much with his nice guy persona that’s been played out to death in movies like Saving Mr. Banks, Captain Phillips, and Bridge of Spies. The film introduce us to a few of the passengers in the hopes that we’ll care enough about them, but it’s really meaningless in the end. And it’s too bad that Emmy winners Laura Linney and Anna Gunn, being practically the only female characters, aren't given much to do. Trailer for Sully on TrailerAddict.